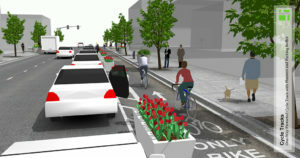 This session is designed to: Provide attendees an understanding of the latest national and international trends, best practices, and design guidance in the rapidly evolving field of bicycle facility design. Equip attendees with the design skills needed to deal with diverse, complex issues that arise around the selection, design, and implementation of cycling infrastructure including winter cycling considerations. Immediately following the CITE 2019 Conference.